This image was an unguided exposure. This exposure was taken in a fairly light polluted area with haxe and clouds so the image quality was degraded somewhat.. 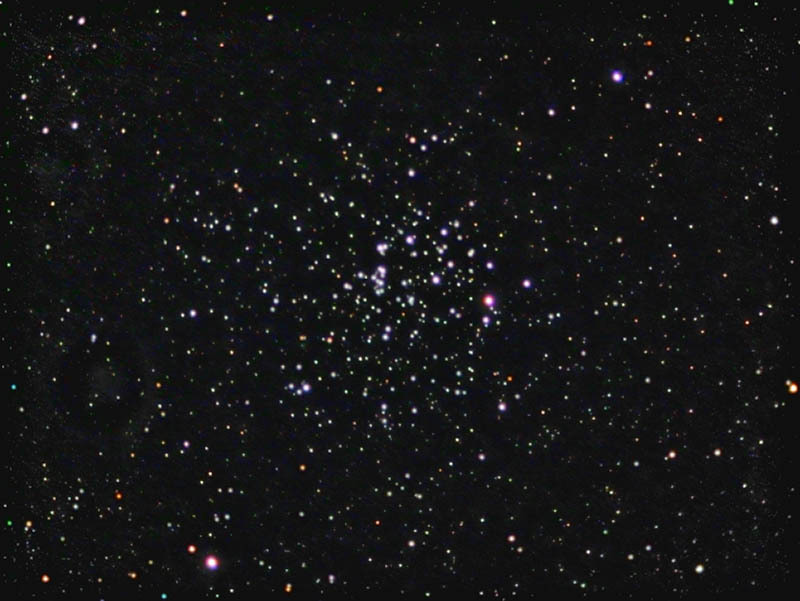 This is one of two Messier open clusters in Cassiopeia (along with M103). Horizontal FOV is about 32'.